U.S. Sen. Debbie Stabenow expects hurricane relief will be a top agenda item when Congress returns to work after Labor Day. Michigan’s senior senator says the country needs to “come together” to help people in Texas and Louisiana suffering in the aftermath of Hurricane Harvey. 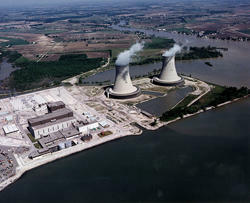 The Disaster Accountability Project (DAP) released a report today revealing what they allege are inadequate emergency and evacuation plans related to radiological incidents at the Enrico Fermi Nuclear Generating Station, or Fermi Plant, in the Frenchtown Charter Township of southeastern Michigan. Today also marks the fifth anniversary of the 2011 Fukushima nuclear disaster. The 2011 incident caused over 150,000 Japanese citizens to be evacuated within 19 miles of the stricken plant. EVART, Mich. (AP) - State emergency officials say they are working to remove dozens of propane tanks floating in the Muskegon River as part of flood-recovery efforts in western Michigan. 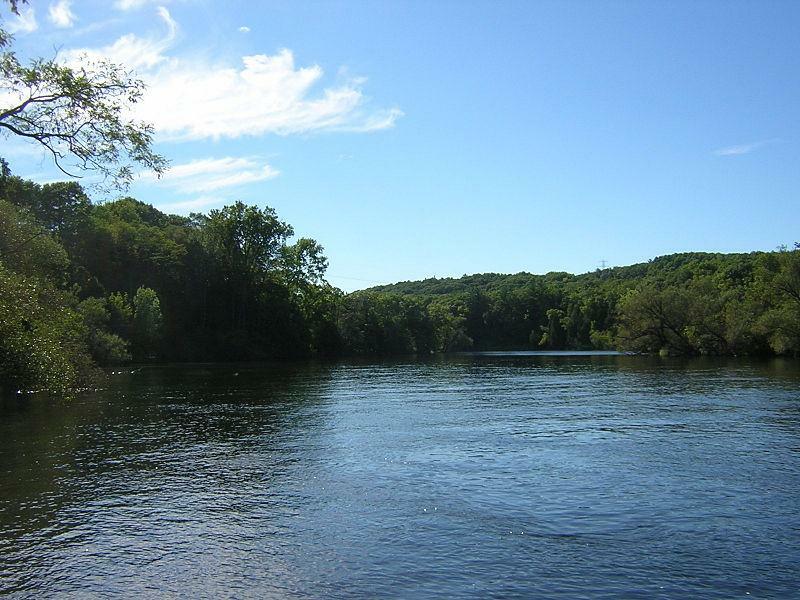 State Emergency Operations Center spokesman Ron Leix said Saturday that more than 40 tanks have been retrieved by state and local crews working with propane safety experts on flat-bottom boats. He says floodwaters dislodged them from the residential properties along the river. Gov. Snyder seeks a presidential disaster declaration for 16 Michigan counties hit hard by floods this spring. Heavy rains in April and early May led to flooding in many parts of Michigan. Governor Snyder declared a state of disaster on May 7. That set the stage for state and federal teams to review damage and property losses in 19 counties. The assessment has led the governor now to seek a presidential disaster declaration in 16 counties. 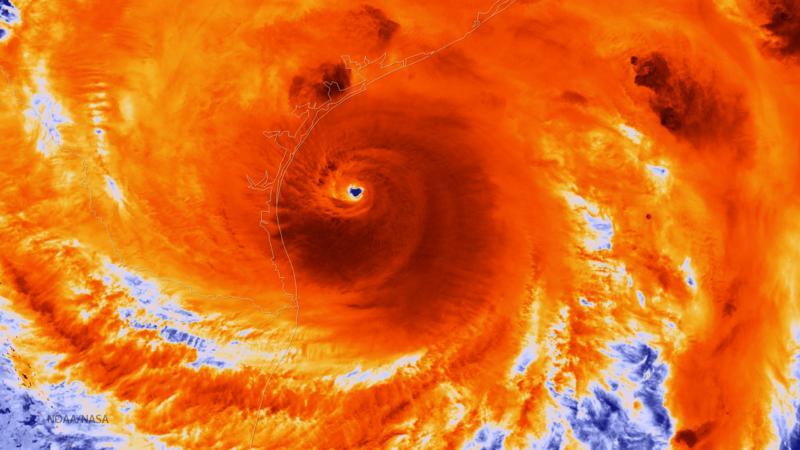 The Federal Emergency Management Agency will review the governor’s request. The weather may seem perfect to a lot us right now. But not so perfect for farmers, many of whom have yet to plant their spring crops. Michigan has been enjoying beautiful sunny skies during the month of May, but the state’s farmers are still waiting for their fields to dry out from April’s heavy showers. Fields are so soggy that only about 5% of Michigan’s corn crop has been planted. Compare that with 2012 when 42% of the crop at this time last year. Nye says by contrast Michigan’s fruit crops are doing well this year. Especially compared with 2012. 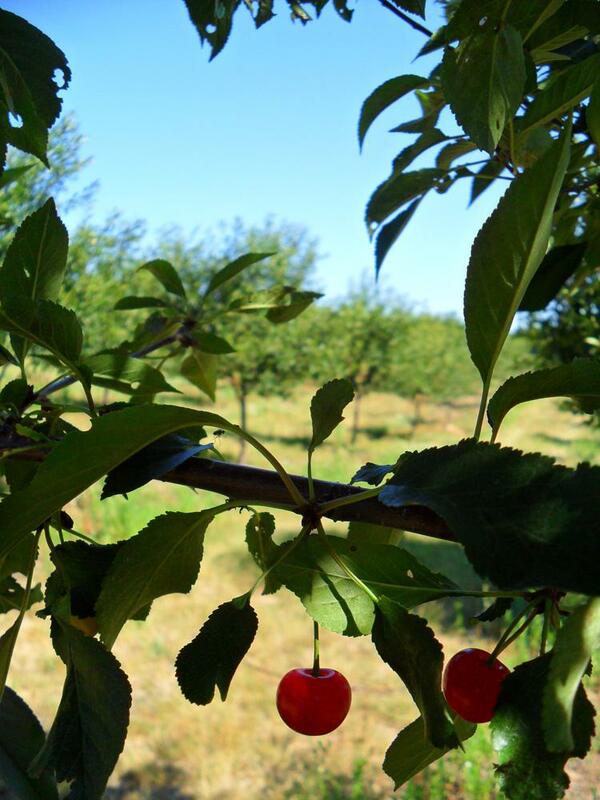 More than 90% of Michigan’s tart cherry crop was lost after unusually warm weather in February led the trees to bloom early and more than a dozen freezes between March and May killed it. State health officials are putting a 140 bed emergency field hospital to the test today just south of Lansing. They're preparing for the kind of medical needs that may follow a catastrophic natural or man-made disaster. “Never had a seizure before?" Doctors and nurses scramble to try to understand why a child suffered a seizure during an earthquake that rattled southwest Michigan. 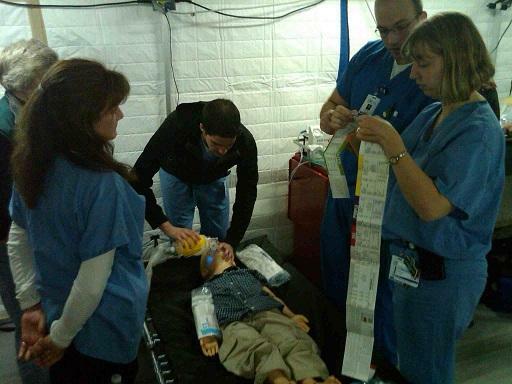 They are real doctors and nurses, but their patient is actually a dummy, and the earthquake is just a scenario.